While things can quieten down in the week prior to Christmas, no such slow down could be seen in the Community Offices at the Stadium this Tuesday (17th Dec) as the Salford Red Devils Foundation hosted Salford Futures for the morning. Attended by recent Tackle Unemployment scheme members, the morning was designed to give individuals present the opportunity to meet with Salford Futures in order to get further employment advice, as well as to be considered for work experience Salford Futures are currently recruiting for. Events such as this form a vital part of SRDFoundation’s employment and education activity, providing an important step between our education and employment courses to direct employment opportunities themselves. Attended by an eager cohort of Tackle Unemployment students, the day was a success in terms of enabling students to receive further assistance and advice from specialist providers in the recruitment market, but also to be able to discuss and apply for relevant opportunities directly. We are delighted to be able to offer the Tackle Unemployment students, as part of our extended network here at the Foundation, the opportunity to directly engage with Salford Futures as a partner organisation, within our network of community specialist providers. 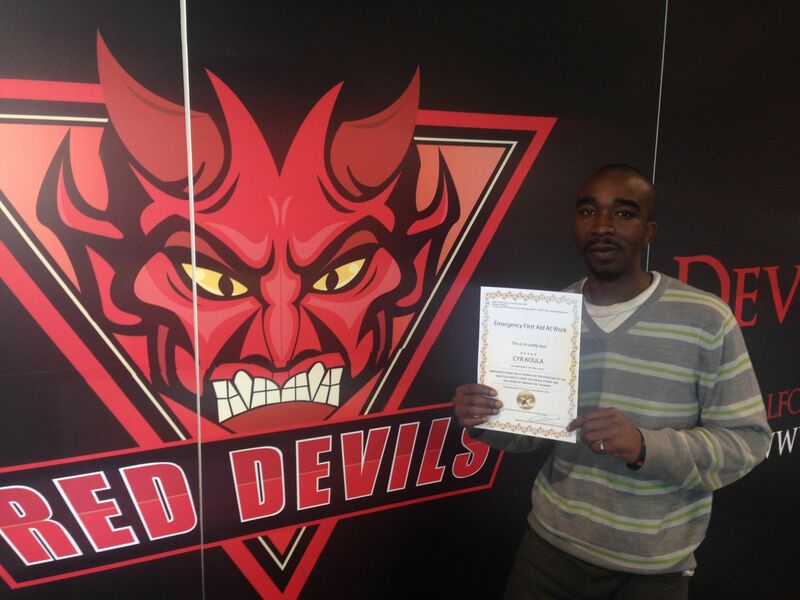 The morning’s activity also saw attendees given their certificates from their Tackle Unemployment course, as well as giving them the opportunity to discuss future Salford Red Devils Foundation training, educational and community events. With Education & Employment Projects Manager Neil Blackburn leading the session, Neil said, “It’s great to see some of the guy’s from our recent course back at the community offices, having the opportunity to speak to specialist recruitment providers about their skills and opportunities will be a real benefit to them. “We very much hope today provides a significant step towards employment for those attending, providing a strong stepping stone onwards from what was learnt on the recent Tackle Unemployment course”. Events such as this form a significant part of the Foundations Employment & Education activities, complimenting The Sports BTEC Level 2, ‘Back To Work’ and ‘Ready To Work’ Schemes, aimed at upskilling individuals with a view to aiding competitiveness in the job market.